During my study of “strange phenomena” I continually saw how people maintained belief in some of these things no matter how flimsy the evidence was. 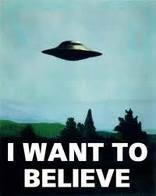 Clearly the desire to believe could overcome almost any obstacle – even confessions of hoaxing were dismissed. Objective truth really didn’t matter. Reality was what someone wanted to believe. This experience made me increasingly aware of how Christians can also fall into the same trap and their faith becomes more subjective, based on experience and desire instead of on a solid and sure foundation. Even when the reality created out of experience and desire contradicts the claimed foundation of their professed faith, experience and desire are given priority. Excuses are made by applying select portions of scripture in a way that is clearly not appropriate to their context. Verses are used in isolation to mean what is most useful to the one quoting them. One area that I see regularly stretching the truth is teaching on the last days. A key warning sign regarding this teaching is when the bible has little part to play in the teaching. Yes a verse or two may be quoted – but usually the quotes are taken out of context to support a point already made by the preacher, rather than starting with scripture to see what IT could mean as a stand alone revelation. If it were possible to consider the quote WITHOUT the expectation already created by the speaker we would probably never come to the conclusion he has led us to draw. So many of the preachers on this topic start with a current political situation and then support it with a few bible verses. Recently I heard a talk about Europe that promotes popular conclusions about the European community being set up as a revived Roman Empire from which antichrist will arise.It was very interesting and very convincing. The speaker mentioned one of the symbols of this revived Empire – the image of a woman riding a beast, an image straight from the book of Revelation.Unfortunately, being an audio source I wasn’t able to see the visual evidence that the speaker was presenting to his audience and I had to check it later through an internet search. The results of that search are part for the reason for writing this article. I found plenty of examples of this “woman riding the beast” and yes, on seeing this evidence the speaker’s claims are quite convincing…UNTIL we turn to scripture itself. Scripture DOES describe a woman riding a beast – but do the European images match the scriptural description? 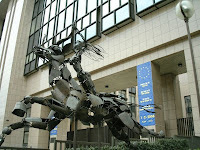 The European images refer to Europa riding a bull (an image from Greek mythology), a common enough animal with one head and two horns. The beast being ridden in Revelation has SEVEN heads and TEN horns. Surely this is quite a significant difference. This particular speaker is not the only one to link the Europa image to the Revelation reference. In my search for photos I found that some of them were provided by sites devoted to “end time prophecy”. While Europe does make use of an image of a woman riding a beast, linking this with the description in Revelation is a clear case of misusing scripture. I would even go as far as saying it is an ABUSE of scripture. A few years ago I bought a DVD from a visiting speaker at a local church. The DVD was about “The End Times”, and I was interested to see what the speaker had to say on the topic. I shouldn’t have been surprised to find that there was little (actually I don’t recall ANYTHING) that addressed scripture. 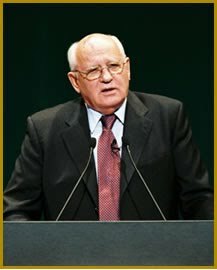 The speaker concentrated on some allegations he had read about Mikhail Gorbachev that supposedly had something to do with end time’s prophecy. And I can’t claim innocence in this matter. In the late 1980s, exposure of the “New Age Movement” was becoming popular with many Christian communicators. Several books were released and I collected a few recordings of preachers speaking on the dangers of the New Age. I became extremely interested and when I had the opportunity to preach at my local church, I made this the subject of my sermon. It made a fascinating study and the congregation were very interested in what I had to say – but in reality, what relevance did it all have? At the most it gave a highly speculative view of the end times that had a very tenuous connection to what is revealed in bible prophecy. Even saying there was a tenuous connection is being far too complimentary – in reality there was NO real connection at all between scripture and the content of my talk. The same can be said of the majority of popular “End Time” teaching that I’ve come across. I would add another that Christians should be wary of: “Speculation” dressed up as Biblical truth. Bring it Brother! I hope there's a Part III. I'm sure enough examples could be found for part III, part IV and beyond.